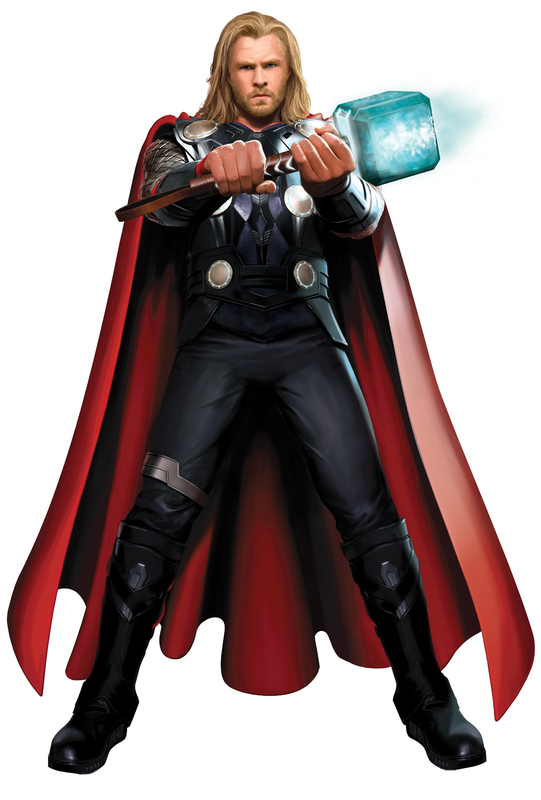 Collider reader “Dan” has sent us some concept art of Chris Hemsworth as Thor. Earlier today, we ran a story about AICN landing concept art of Chris Evans in his Captain America outfit. While we were very circumspect about saying these images were official, it is telling that both of these images have leaked today and they have the same artistic style. You can also see how they compare to the official shot Marvel released in April. What’s especially cool about these Thor images is it’s the first shot we’ve seen of the Norse god wielding his hammer, Mjolner. It’s cool that not only does the top of the hammer glow, but you’ll notice that the grip also emanates blue light. It’s also interesting to see the size of Mjolner in proportion to Thor’s body. Of course, it’s not the size of the hammer, but how you use it. How it’s used in Thor is probably leveling buildings and fighting Norse gods. Hit the jump to stop with the less-than-clever innuendo and check out the concept art. Thor hits theaters on May 6, 2011. For those who don’t know, Thor is being directed by Kenneth Branagh (Hamlet). The film also stars Natalie Portman as love-interest Jane Foster, Anthony Hopkins as Thor’s papa, Odin, and Tom Hiddleston as Loki, the film’s villain. The film also stars Ray Stevenson (Punisher: War Zone), Tadanobu Asano (Mongol), and Joshua Dallas (The Descent: Part 2) as the Warriors Three; Idris Elba (The Wire) as Heimdall, Stellan Skarsgard (Angels & Demons) as Selvig, and Jaimie Alexander (Kyle XY) as Sif. Click on an image to see a larger version and sound off in the comments section about your thoughts on these images.